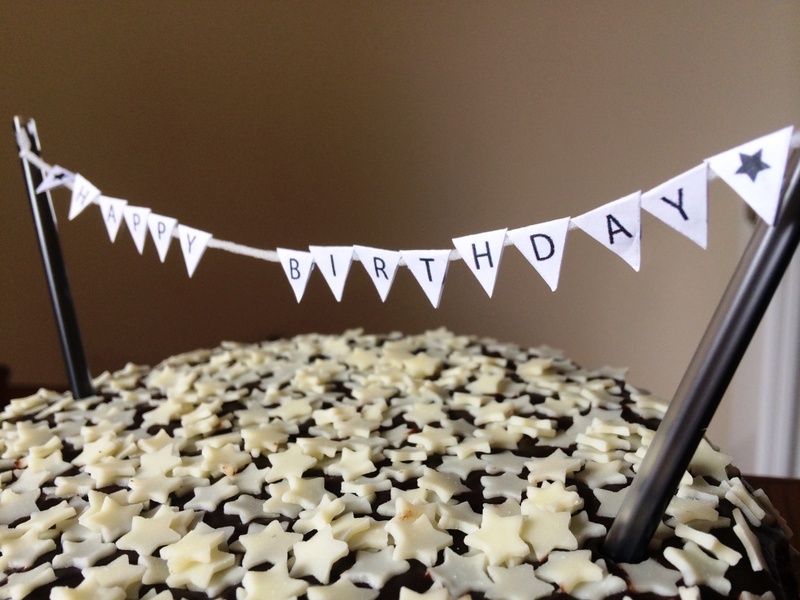 A couple of weeks back we had a big birthday to celebrate in our office, for which it was deemed I should make a cake (no hardship really!). 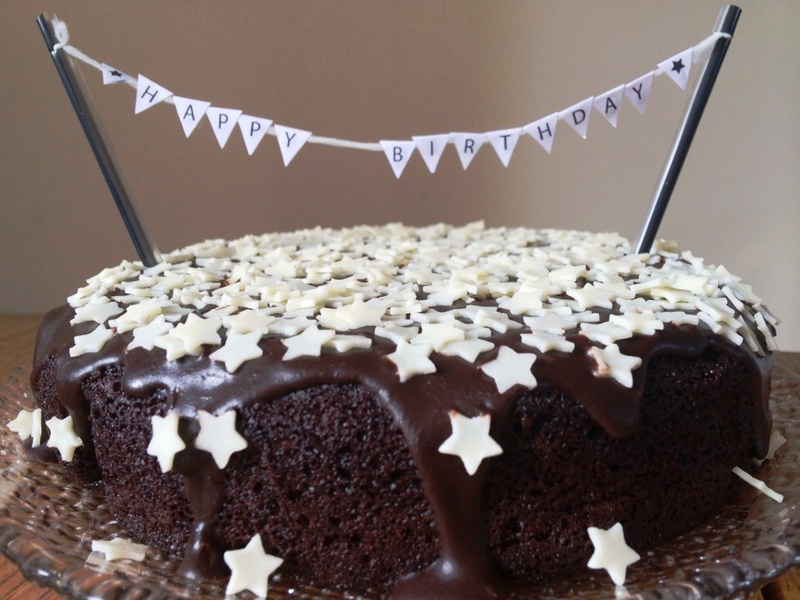 As there are only 6 of us, I wanted to make sure everyone could have a piece, especially our newest GF-colleague. 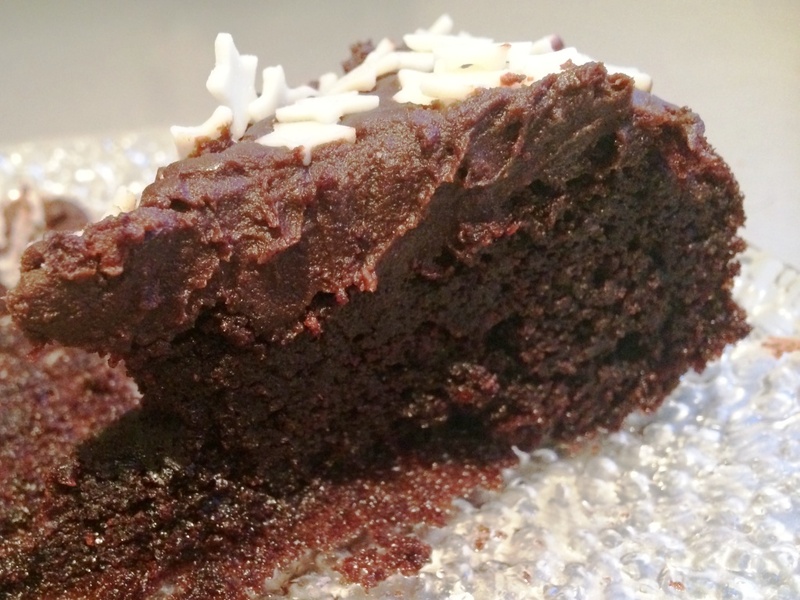 Google led me to no end of gluten free recipes – where to start! I’ve made gluten free brownies before, which turned out rather well, if I do say so myself, so sticking with something chocolatey seemed a safe better. 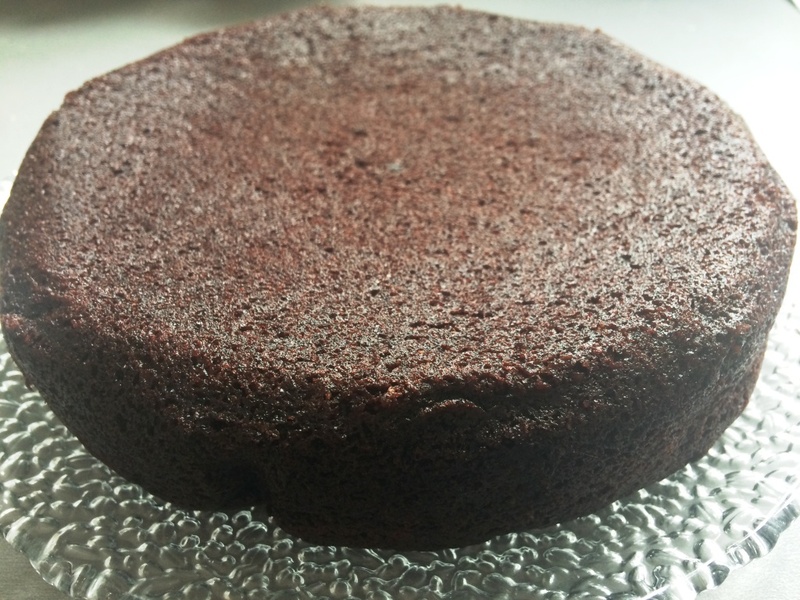 With some ground almonds lurking in the back of the cupboard, and a very well-reputed Nigella recipe to boot, how could I go wrong? 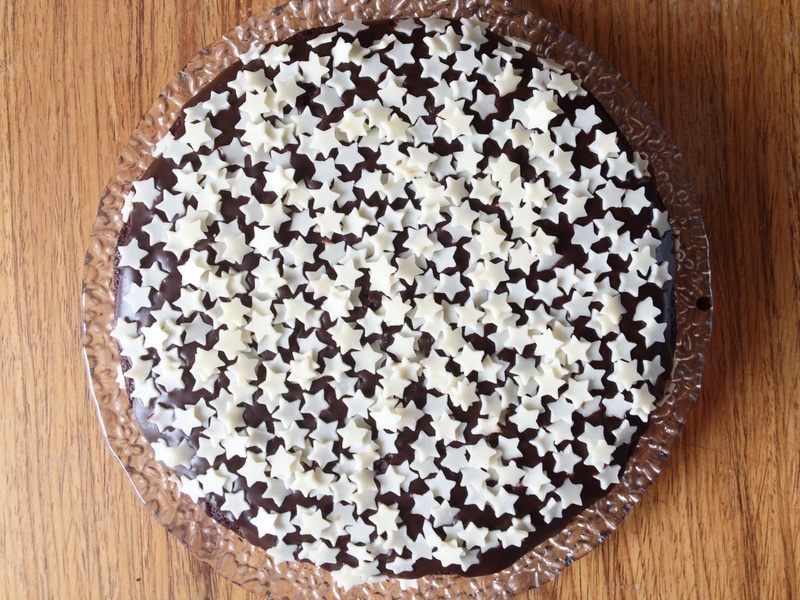 I downscaled the recipe by a third, not only so it would fit in the best tin I could find, but also because it only had to feed 6 – and we were still eating cake all week! 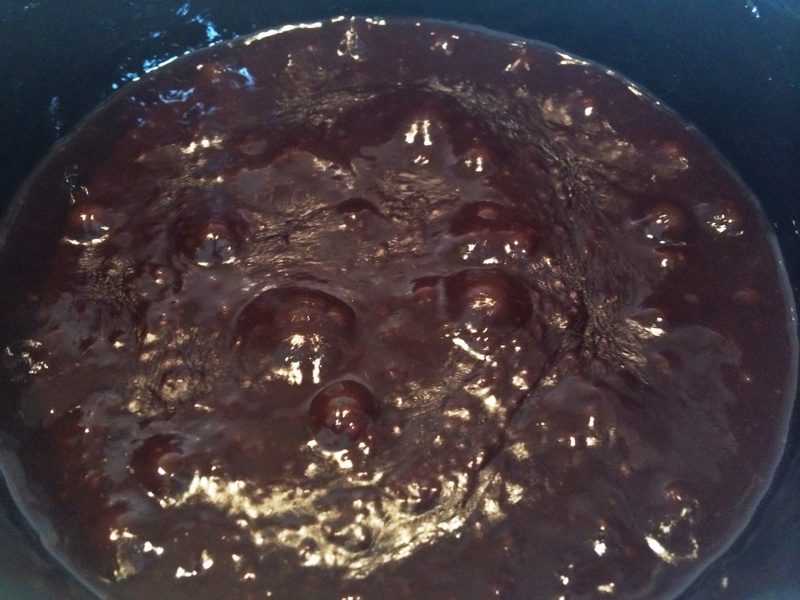 Whilst the cake is cooling the icing can be made – I started off making a ganache, with milk instead of cream, but quickly decided a thick chocolate fudge icing would be better! 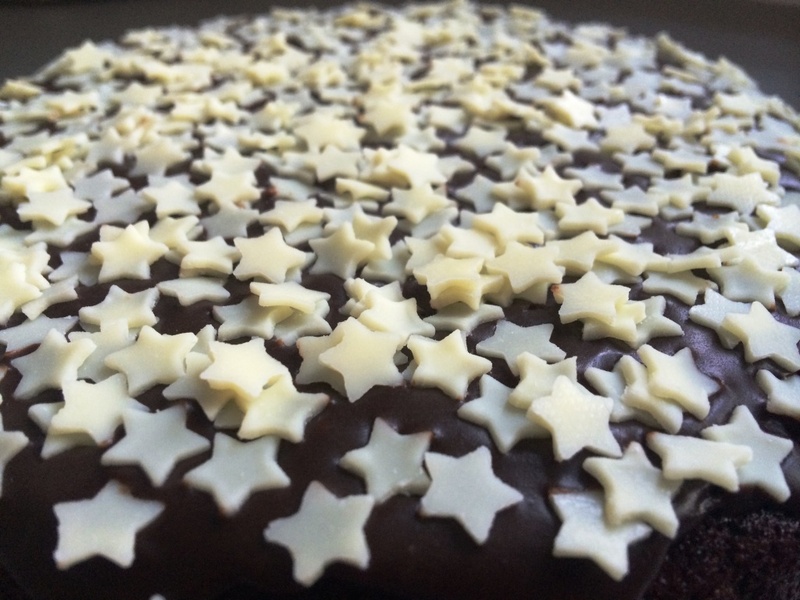 I topped my icing with a mass of white chocolate stars – sprinkled liberally doesn’t even come close! The birthday girl was delighted, as were we all on tucking in. 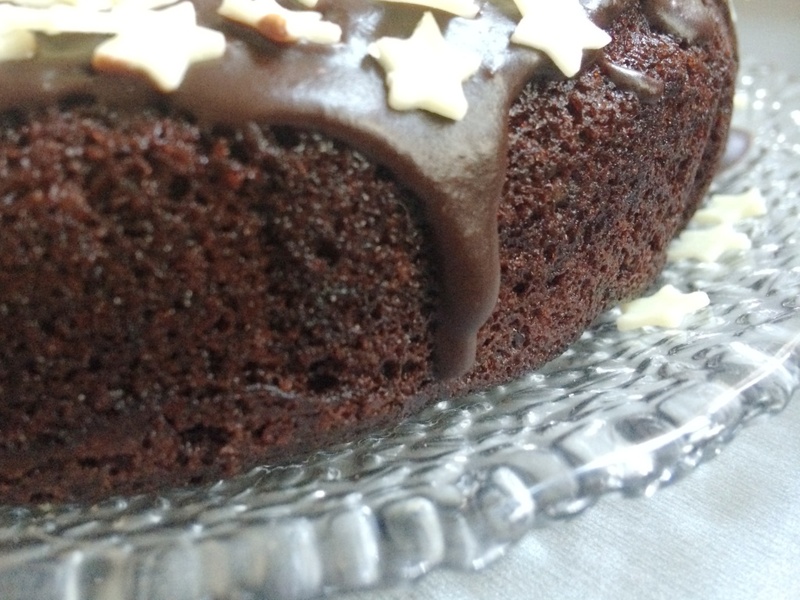 Although I was a little dubious about the olive oil in the recipe, it makes for a dense, fudgy, chocolatey cake, only too well complimented by a dense, fudgy, chocolatey icing! 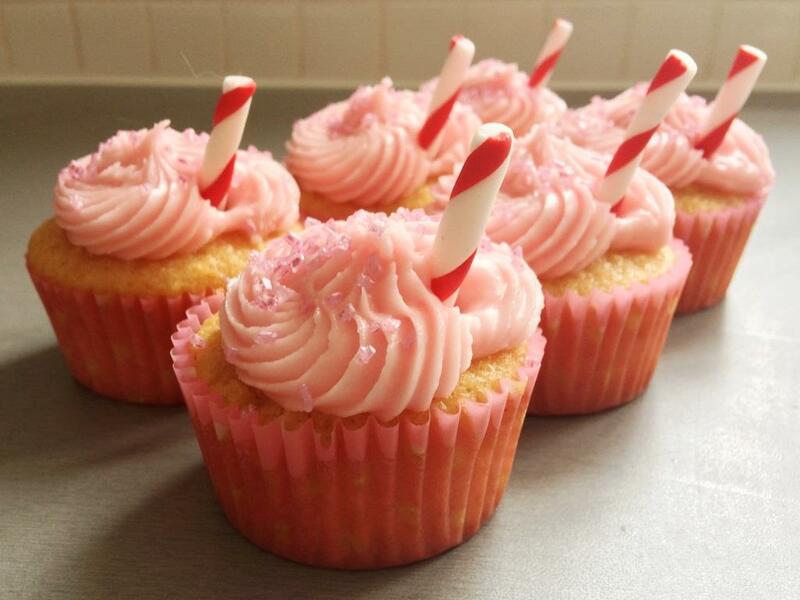 A beautiful summers day and perfect excuse to use some more of my treats from Sugar and Crumbs. 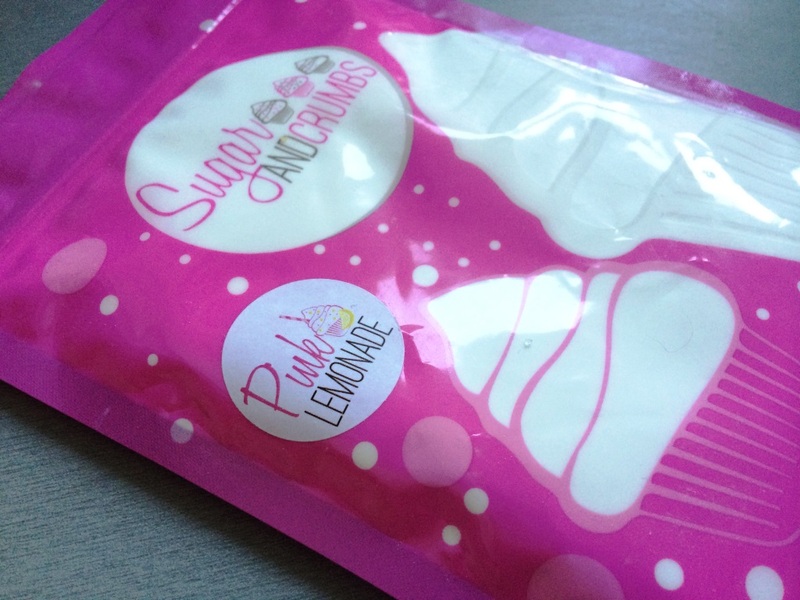 A quick taste test and I was instantly smitten with their Pink Lemonade Natural Flavoured Icing Sugar. 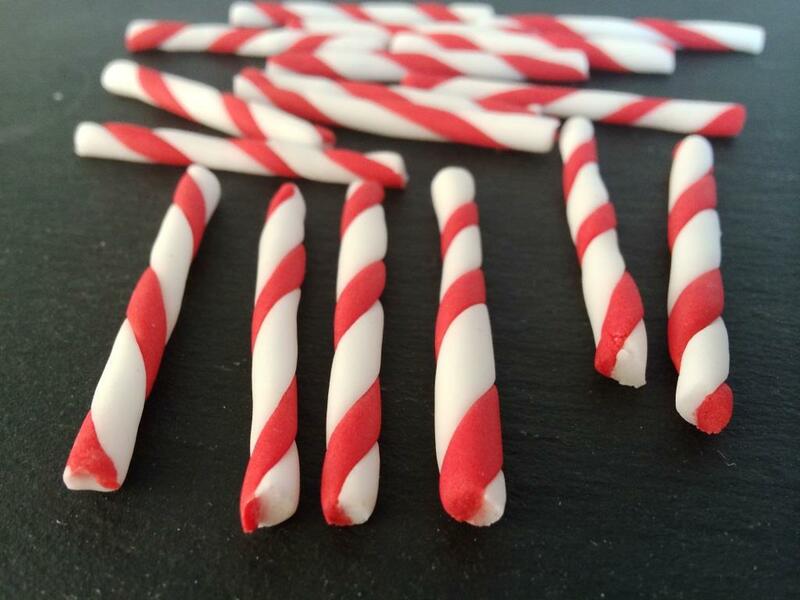 You know those Refresher sweets, with the fizzy lemon centre? 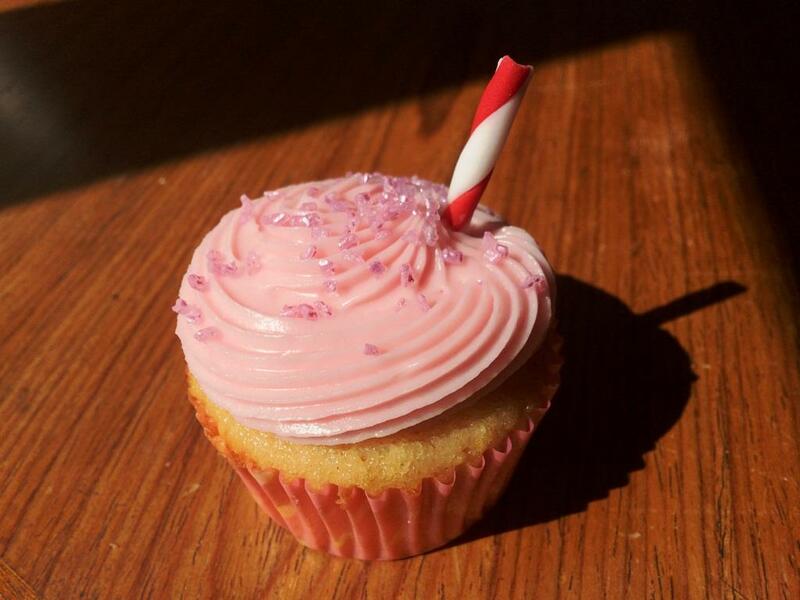 It tastes exactly like that fizzy sherbet! To keep on the theme I wanted to top these lemonades with a little straw – but no ordinary paper or plastic version. 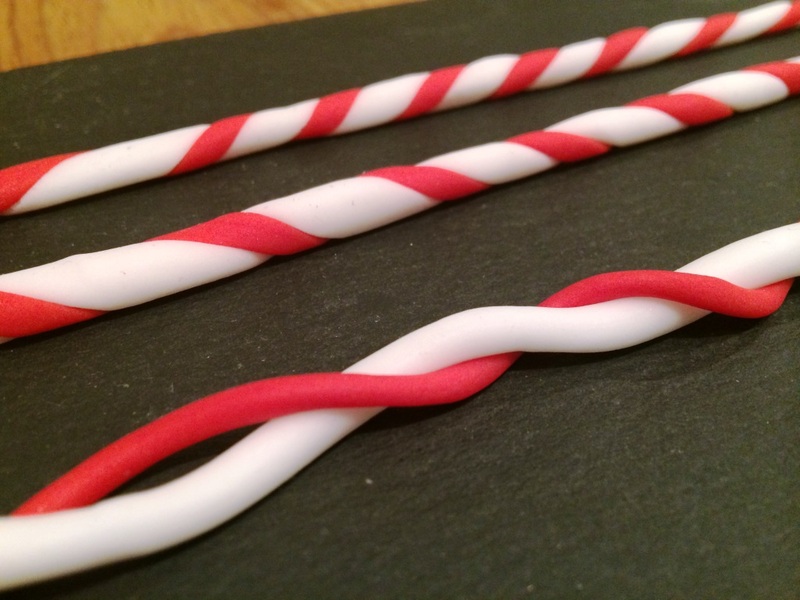 Instead I rolled together thing lengths of red and white fondant, twisting and intertwining to give the effect of a striped paper straw. Once cut into lengths, I left them to air-dry and harden overnight. 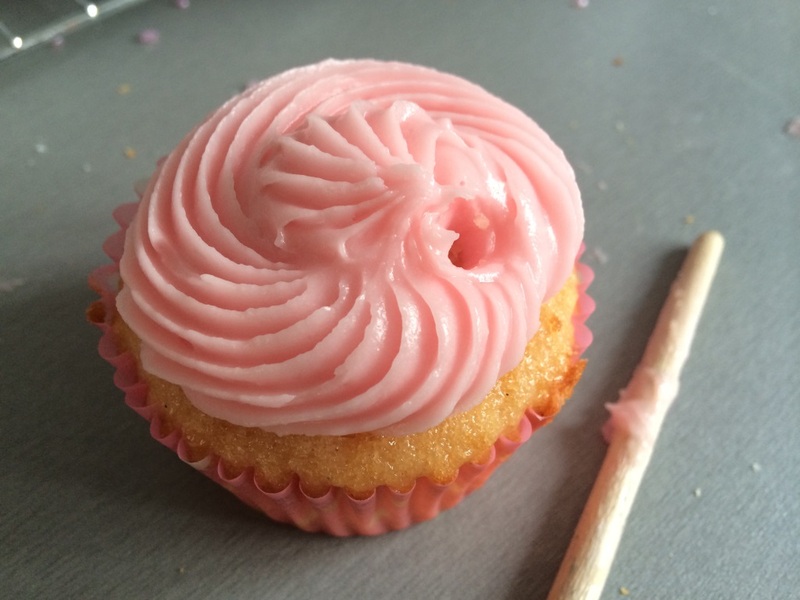 The cupcakes were a simple vanilla base – with more than enough flavour punch in the icing.To ice 12 cupcakes I used 350g pink lemonade icing sugar, 185g soft butter, a couple of drops of pink food colouring, and a splash of milk to get to piping consistency. I used a star nozzle to get that perfect swirl, before creating a hole for the ‘straws’ with the back of a paint brush (the fondant would break if you tried to push it straight into the cake). 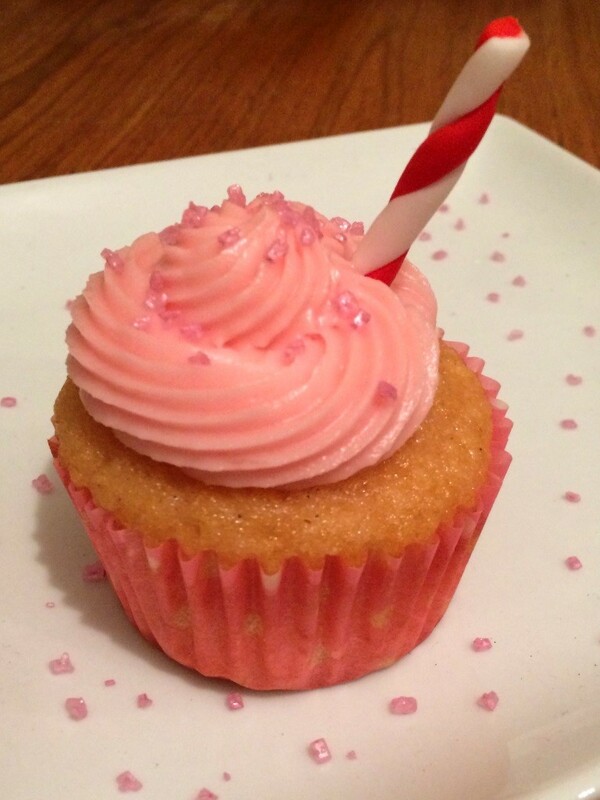 A final topping of pink shimmer sugar for that little extra ‘fizz’ – et voila! Definitely cuter than the real thing – and surprisingly refreshing to boot. A big things up to Sugar and Crumbs on this one!